Latest report shows top attacking companies, 60x increases in attack intensity..
You can request access to (registration) the report here, and the individual images from the report available here. There is also a great set of write-ups coming out here and here. Senior leadership (board of directors, audit committee members, CIO, COO) must ensure these realities are absorbed into the organization’s business processes. Leadership and strategy shifts required to tackle these evolutions remains an executive responsibility. Social Media guidance from FFIEC and governed agencies .. up for comments! The FFIEC released today (January 22, 2013) the “Social Media: Consumer Compliance Risk Management Guidance” and is available here online. The release is seeking comments and is a great opportunity to see where enforcement agencies are leaning; what are the concerns they are seeing on a macro scale, and their intended path to mitigating these unique areas. “The 31-page proposal addresses how social media impacts compliance and legal risk, operational risk, reputational risk, and an increased risk of harm to consumers. While the agencies note that no additional regulations apply to social media, the relatively casual communication channels are not exempt from the rules, either. Considering the velocity of the risks in this area and the lagging of legislation, it is fair to say that those even OUTSIDE the purview of the FFIEC, should strongly consider these as inputs to their compliance and security programs. Participate in the comments and invoking of these guidances here. Yesterday I presented with Prat Moghe, the founder of Tizor, on the challenges faced by businesses. A broad topic, but we were primarily focused on the database administrators and those charged with the controls in place. While we go into great detail on the difficulties of manually evaluating controls in a checkbox manner, and I highlighted specific concerns on twitter (#nzdc) a more basic harm and cause emerged – most organizations have been approaching audits and controls in the wrong manner. The point is the Federal government and our industry cohorts don’t trust how we’ll do business, so we have to demonstrate particular safeguards and operating integrity base points to keep our operating license. The second maybe, management is overseeing a massively complex organism, and only through third party verification and evaluation shall we know what in the world is right / wrong / or a complete waste. Now both responses are right and there is nothing wrong with being more polar on any of these points, but there is a severe cost. 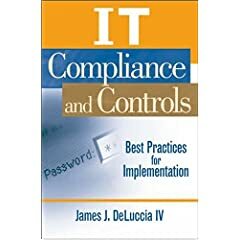 Taking an audit as a checkbox approach means that the INTENT is not being satisfied (The classic Compliance does not equal Security is a prime example), and one should not be passing such audits – but that is not the focus of this post. Furthermore, conducting an audit in a manner where one simply responds and ties loosely together the controls for the sake of “the audit” every year translates to a complete loss in the possible savings that can be achieved from such events. There is not doubt, audits are time consuming and resource intensive, and it is similar to a High-Stakes test. The difference is when you take a high stakes test and then take it again, you reuse the same information and have learned from the prior experience. Too often organizations do not have those lessons carried forward, because they are treated as one-time events and not integrated. To be sure – auditors vary in skill, standards stretch the spectrum from prescriptive to principal based, and management / company culture severely impact how these evaluations are viewed and addressed. It is also true that without taking these lessons beyond the hour the audit occurs errors, expense, time, and resources, will forever and continually be lost. Consider your audit plan for the year and how they can fit with your IT strategy and IT governance function as a part of the company governance program. Draft a charter that reflects how these audits work toward the companies goals, and how each audit enforces and ENRICHES the business operations. Check out the webinar I mentioned above here, it shall be archived and viewable at your leisure.